Ndoo is a 37 year old businessman, who has found a passion for powerlifting. He is the man behind the mastermind initiative to host powerlifting workshops for the youth in his community that are currently being run ever Monday, Wednesday, and Friday afternoons. These workshops have touched the lives of many, and people in the community have started speaking about how they are keeping kids occupied and reducing crime rates. He first started lifting weights in order to stay fit, and in his own words says that “Lifting Weights makes me feel awesome”. Despite spending the majority of the month of July busy preparing a powerlifting competition for his own community of Glen Norah this will be his first time ever competing. Ndoo trains 5-6 days a week for 2 hours in the early mornings, before heading off to work to run his butcher shops. 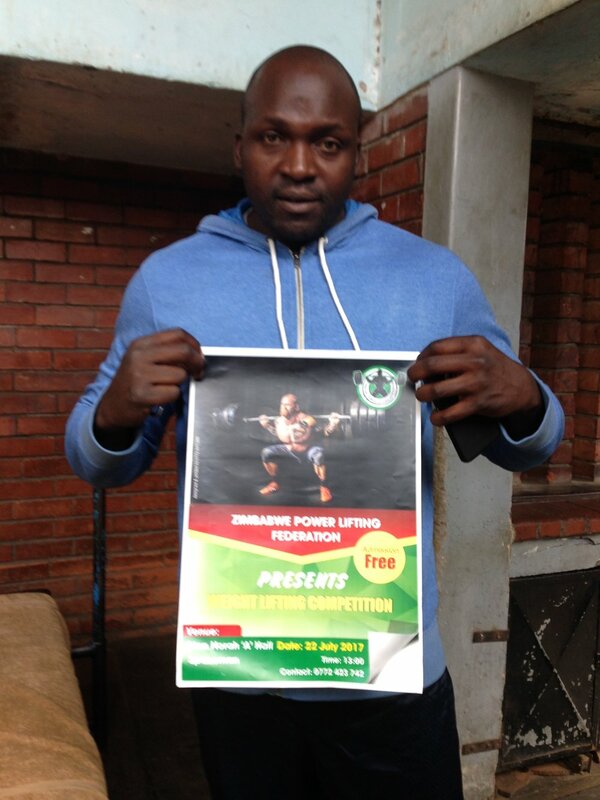 Benchpress is his favourite lift, and is looking forward to continuing to build powerlifting in his local community following this experience competing on behalf of Team `Zimbabwe as a 105kg lifter in the Male Open class.